Steven Holtzman is a partner in the Tampa office of Lewis Brisbois and a member of the Corporate Practice. He focuses his practice in the following areas: General Corporate, Securities, Mergers and Acquisitions, Private Equity, and Commercial Transactions. Mr. Holtzman’s practice covers a wide variety of business transactions, including representation of public and closely held companies, securities issuers, broker-dealers, investment advisers and corporate executives in mergers and acquisitions, securities, private equity and general commercial transactions. Prior to joining Lewis Brisbois Bisgaard & Smith LLP, Mr. Holtzman worked as a partner in a prominent Tampa law firm. 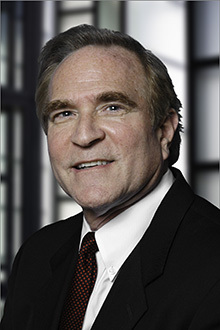 He previously served as Senior Counsel for the Home Shopping Network and Special Counsel for the U.S. Securities and Exchange Commission in Washington, D.C. He has been recognized as one of Tampa’s Top-Rated Lawyers and a Top-Rated Lawyer on a national basis. Audit Committees - What’s the Bottom Line?